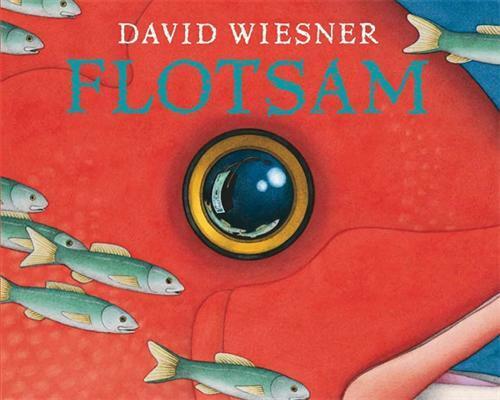 Upon reading Flotsam, I was struck with David Wiesner’s ability to use exclusively visual text. Wiesner’s picture book draws upon pastel colours and uses variances in focus to create depth of field in his images. This deliberate use of focusing, forces viewers to note particular aspects of Flotsam, the insinuation being that the beauty of nature is in the details. Throughout the picture book, Wiesner varies his use of colour in order to delineate the passing of time, and is able to create a sense of shifting context through visual text alone. Flotsam uses pictures within pictures to establish the interconnected responsibility that exists, regarding the custodianship of the environment.